I was visibly pissed when Eurosport kept on showing a mediocre long jump competition at the New York Diamon League coverage. Save for the Australian duo of Mitchell Watt and Fabrice Lapierre, the rest of the field looked like last minute replacements. Aside from the aforesaid two, the rest of the competitors notched mundanely mediocre long jump marks more akin to low-level Philippine athletics than to the big-money Diamond League meetings. 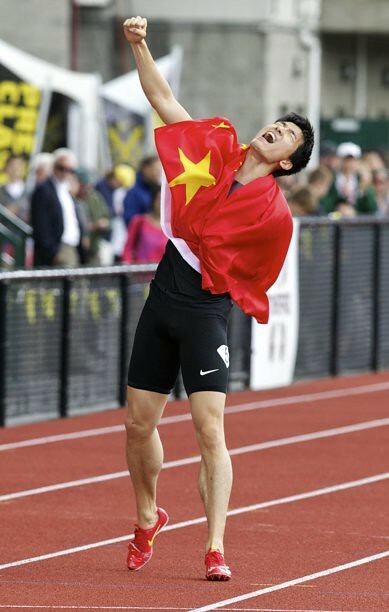 To make matters worse, there were three field events that featured superior athletes and performances. The women’s triple jump field, led by Olga Rypakova, featured near-15 meter jumps. In the women’s pole vault, 2011 World Champion leaped to a new season’s best of 4.77m. The men’s high jump was even more exciting, as World Champion Jesse Williams squared off with the vastly-improved Robbie Grabarz. And the producers of the telecast only showed snippets of these events. In contrast, they aired each and every sub-par round of the friggin’ long jump. Even the announcers were subtly disappointed, apologizing to the audience for not showing more of the aforesaid events. 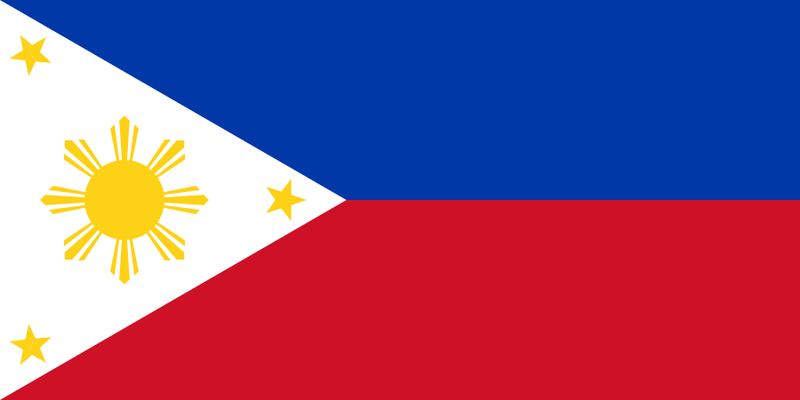 Since I live in the Philippines, I’m only exposed to a handful of cable channels that feature regular athletics coverage: Eurosport and Star Sports. The latter is not even worth mentioning. It employs a lone announcer/commentator that is akin to Mr. Sandman himself. If I were not so interested in the sport, I would have fallen asleep. 1.) Please tell your producers to feature the most gripping of events, not the pedestrian ones. C’mon! Picking a long jump competition where most of the field jumped in the mid-7 meters over a high jump event featuring an unknown athlete leaping 2.36m? Get real. 2.) Air the post-race interviews. 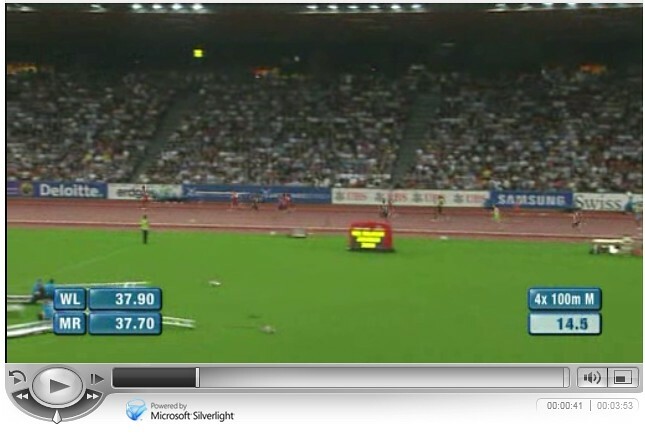 If the program is hard-pressed for time, you can always insert a small box at the bottom of the screen during those long-drawn distance races. 3.) Show the faces of the announcers for crying out loud! Put faces to the voices! The names of these guys are not even shown on TV. 4.) Employ some retired athletes or established event experts to give their thoughts. Don’t just friggin’ rely on jacks-of-all-trades doing all the commentating. And for the nth time, put their faces on a small box beneath the screen. 5.) Put a ticker at the bottom of the screen informing the TV audience of the current standings. 6.) Show more clips of the athletes warming-up, celebrating or interacting with the crowd. I’ve accepted the fact that athletics shall remain second fiddle to football and basketball in terms of popularity. The nature of the sport is not spectator friendly. If the sports fan is not well-versed in the basics of athletics, he/she will be hard-pressed to appreciate the events. It helps the sport a lot when larger-than-life characters like Usain Bolt take center stage. But then again, Bolt is one-of-a-kind. Inutile television coverage such as this only worsens this inherent disadvantage. It takes away the awe factor of a grossly-underrated sport. Usain Bolt crossed the finish line at the Bislett Games, stopping the clock at 9.79s. As we was slowing down the first bend, waving to crowd and doing his usual post-race celebratory moves, an exuberant race volunteer blocks Bolt’s lane to hand out a bouquet of flowers. Disaster of Ivet Lalova proportions was averted, thanks to the Lightning Bolt’s quick reflexes. IHe jumped in an effort to break his momentum, and grabbed the girl to absorb the impact. The girl buckled under force of the muted impact, Usain carries her, preventing her from falling down the track, and gives her a friendly hug! Usain Bolt, what a remarkable guy! French middle distance runners Mehdi Baala مهدي بعلة‎ and Mahiedine Mekhissi-Benabbad came to blows at the end of the 1,500m run at the Monaca Diamond League last week. The two athletes figured in a heated argument before Baala, the 2006 European 1,500m champion, headbutted Mekhissi-Benabbad, the 2010 European 3,000m steeplechase champion. The elder Baala, despite the headbutt, was on the retreat throughout the bizarre encounter, as the younger Mekhissi-Benabbad threw four wild swings against the former’s single punch to the cheek. Both athletes are top-tier athletes, having won medals at the World Championships (Baala) and the Olympics (Mekhissi-Benabbad). To say that the incident is shocking is an understatement! What a disgrace to the sport! It’s good to see Ivet Lalova Ивет Лалова back in sterling form. The Bulgarian, slowed by a broken femur the past few years, ran her fastest time in the 100m dash since 2005. Lalova came out on top of a quality field at the rain-soaked Bislett Games in Oslo, stopping the clock at a highly competitive 11.01s, almost three-tenths of a second away from her 2004 best of 10.77s. The reigning European Indoor 60m champion, Ukraine’s Olesya Povh Олеся Повх, came second (11.14s). Nigerian-born Norwegian Ezinne Okparaebo clocked 11.17s for third place. Povh and Okparaebo had a blistering start, with the former leading the pack until Lalova turned on her afterburners at the 65 meter mark. Verena Sailer, apparently still hampered by a back injury sustained at the early part of the year, lagged behind with an unremarkable 11.46s. In the absence of the Jamaicans and the Americans, the top five positions were occupied by Europeans. Lalova’s performance at the Oslo leg of the Diamond League is the 13th fastest in 2011. With big names like Carmelita Jeter and Veronica Campbell-Brown churning out 10.70s and 10.76s, respectively, the 10m dash in Daegu will be highly interesting. An in-form Lalova could give the traditional sprinting powers a run for their money come August. Lisa Urech is this week’s track beauty! The 21-year old is Switzerland’s top sprint hurdler. She has personal bests of 12.81s in the 100m hurdles and 8.00s in the 60m hurdles. Most recently, Urech qualified for the finals of the highly competitive 2010 Barcelona European Championships, where she finished 7th overall. She stopped the clock at 13.02s. In about a month’s time after the Euro’s, she ran a lifetime best of 12.81s in Zurich. Urech is just five-hundredths of a second off the Swiss national record, held by Julie Baumann (12.76s, 1991). Remarkably, Urech’s breakout 2010 season started on a low note, with the Emmental-born athlete breaking her collarbone at the start of the year! Indeed, this shows that Urech is made of stern stuff. Urech had improved dramatically since competing at the 2008 World Junior Championships in Bydgoszcz (13.72s. In 2009, the stately Swiss – then only 20-years old – notched a new personal best against seasoned senior opponents (13.36s). It is impressive to note that Urech broke the 13-second barrier barely two years since running in the high 13’s as a junior. Should she correct some technical flaws in her form, Urech has much potential to barge into the top ranks of European hurdling. Our favorite Russian long jumper won another Diamond League meet, this time in London. The 19-year old leaped to 6.65m, matching compatriot Lyudmila Kolchanova‘s best jump. Darya Klishina won on count back. Our favorite long-legged Russian long jumper, Darya Klishina makes up for her European Championships absence by unexpectedly winning the Stockholm Diamond League. The 19-year old Russian leaped to 6.78m, beating the Doha World Indoor Champion, Brittney Reese. This is amazing. Oliver is amazing. After a string of Sub-13 times the past month (12.93, 12.90), big David Oliver lowered his already impressive PR by one-hundredths of a second to 12.89s at the Meeting Areva (Samsung Diamond League) in Paris the other night. The 28-year old is inching ever closer to Dayron Robles’ world record. Robles was supposed to compete at the same meet, but pulled out due to mild injury. 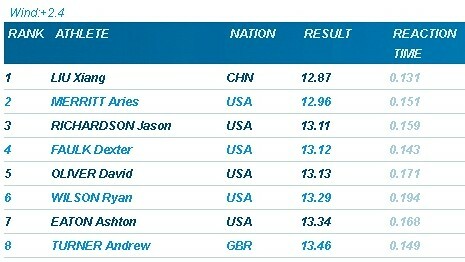 Oliver outclassed the field, with Ryan Wilson way behind at 13.12. Despite demolishing the 7th and 10th hurdle, Oliver still became third fastest sprint hurdler of all time, behind Robles and Liu Xiang.